9 Apr 2019 – I am mindful of the fact that there are taboos that must not be broken and the facade that must be maintained – if one wants to be “acceptable” and “respectable” in the eyes of those in position of Power and Influence. International state crimes victims find themselves in unenviable situations wherein they are damned, if they speak unadulterated truths (facts really – like the existence of the Convention on the Prevention and Punishment of Genocide of 1948, now Article 6 of the Rome Statue, which serves as AN INTER-STATE TREATY, no mere statement of principles or ideals), and they are damned if they allow their influential donors and powerful policy types–like US Senate or Congressional staffers–to put untruthful spin and blatant distortions in their pet victim’s mouth. It came to my attention that Tun Khin was, in effect, instructed to NOT mention the Genocide Convention in his testimony, because it would undermine a Burma legislation that IS SUPPOSED TO help Rohingyas. When a fact such as that the Genocide Convention exists – and was envisaged as a tool to actualize this post-Holocaust mantra “never again!” – is unwelcome at one of the most powerful chambers of power, US Senate – it becomes categorically questionable why the Senate sub-committee even holds such a hearing, wasting American taxpayers’ money and giving millions of victims FALSE HOPES – not just Rohingyas, but Uyghurs and Tibetans. (My Tibetan friends including my old friend who testified alongside Tun Khin should know better by now – as they have gone through these motions over the last 50 year or more). Tun Khin was allowed to use the word “genocide”, but not permitted to include in his written submission the Convention on the Prevention and Punishment of Genocide. I am including two versions of Tun Khin’s submissions: the original, unadulterated and un-censored version and the sanitized official version which removed the mention of “the Genocide Convention” and came to be littered with meaningless UN-sgupeak “safe, voluntary, dignified and sustainable return” (of Rohingyas to their killing fields of N. Rakhine where only days ago 20 Rohingyas were shot dead from a Burma Air Force helicopter gunship), the effectiveness of (empirically impotent) US policy, the wonders of the UN-led investigation and documentations at the cost of US$28 millions, while Bangladesh is on course to relocate 100,000 Rohingyas from sub-human camps in Cox’s Bazaar – which Razia Sultana, the Rohingya honoree of State Department’s “International Women of Courage”, likened to a zoo (where 800,000 fellow Rohingyas are kept alive, but nothing more) to Bhasan Char Island, with no record in history, in geological or human times, of human habitation or life. This censorship against even the mere mention of the Genocide Convention in a case where the world has pretty much accepted – without the much-cited “judicial review” or “a court of law” – that a full-blown genocide has been commissioned by the State of Burma – not simply by those who are in positions of power but as an act of institutionalized, inter-generational persecution of the entire community with its own ethnic and religious identity – happened in Washington DC where talks of “all options on the table” to ostensibly democratize the oil-rich Venezuela. When victims are pressured – of course, pressured, as-a-matter-of-factly – by those with the power TO INVITE or NOT TO INVITE, to give $ or NOT TO GIVE $ – to compromise on FACTS then the seeming concerns of those who claim empathy and solidarity become – to me at least – highly questionable. Alas, if you are a genocide victim then injustices, indignities, abuses and deceptions you are subjected know no bounds. Have a quick read of these two original and censor-approved (nay!! significantly revised and altered) official testimonies. I am not making this up, and I don’t do rumors. Of course, Tun Khin would never complain about those who are “kind enough” to invite him to share his views, albeit in the most distorted forms. He is still a refugee, a victim, caught between rock and the hard place. He is not alone, not the first one, nor the last of those who are deemed “acceptable” to Power. This is indeed a standard practice: victims come and jerk tears and lend their legitimacy. The patrons decide what policy course is best. There is no light at the end of the Rohingya’s hellish tunnel. of the (written) testimony by Tun Khin before UN Senate committee on Asian Reassurance Act. Chairman Markey, and distinguished members of the Committee, thank you for the opportunity to appear before this committee to testify on the ongoing genocide of the Rohingya people in Burma. I speak as a survivor of Burma’s ongoing genocide. My own personal history reflects the history of our Rohingya people. My extended family experienced first-hand this still ongoing vicious cycle of periodic waves of government-orchestrated military attacks and mass violence against our virtually unarmed and peaceful communities throughout Rakhine region. In 1978, my own parents, then in their 20’s, fled their homeland of Northern Rakhine into Bangladesh during the very first wave of violent mass deportation of our community. As a matter of fact, the late Senator Edward Kennedy was one of the first dignitaries who in 1978 travelled to Bangladesh, bore witness to the devastating impact of the Burmese military government’s policies of targeted persecution against the Rohingya and helped secure a quarter million US $ in the form of humanitarian aid for Bangladesh earmarked for Rohingya relief. Mr Chairman, Burma’s general Ne Win, the architect of the policies of racist persecution of Rohingya, Senator Kennedy and my own refugee father are no more today. But Burma as a state, a UN member, – that is, its security forces, justice system and various organs of the government including Foreign Ministry, State Counsellor’s Office, Education, Health, Information, Religious Affairs, Labour and Social Welfare, and so on – have continued on with the decades-old policies of denying our group identity, as an ethnic group integral to the Union of Burma, depriving our youth and school-going aged children any meaningful access to education, denying us access to essential health and other social services, and worse maintaining conditions that are designed to bring about eventual destruction of our ethnic community, from its very foundations. Mr Chairman, it is genocide – the intentional destruction of an ethnic community, our Rohingya community – that the State in Burma has commissioned. It is no longer enough to call the crime by its legal name – genocide. The world of conscience must now use the legal tool in the global governance regime to end that crime which my fellow Rohingya people remain subjected to: invoke the Genocide Convention. Consequently, today there are far greater number of Rohingyas outside of their ancestral homeland of Rakhine than inside: roughly 1 million Rohingyas in sub-human conditions in 30-plus refugee camps in Bangladesh where they are recognized neither as “refugees” nor by their very group identity as “Rohingyas”; they left behind nearly 400 villages, all burned and bulldozed, which are being primed for commercial development by Daw Aung San Suu Kyi’s NLD government. Today, Rakhine state is the site of the intense fighting between Rakhine’s Arakan Army and Burma’s central armed forces. The Burmese military troops and the Air Force have reportedly used this occasion to slaughter innocent Rohingya villagers caught in the crossfire. The United Nations reportedly sounded alarms and raised the possibility that (besides genocide, which is ongoing) Burma may be committing war crimes against Rohingya community. 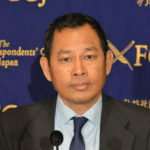 We have a deeply worrying situation in Burma today: various organs of the State, including both the entire security sector which Daw Aung San Suu Kyi does NOT control, and the non-security sector line-ministries which she controls tightly, have remained engaged in what the Fact-Finding Mission Chair Mr Marzuki Darusman calls Myanmar’s “ongoing genocide” against Rohingyas. The targeted sanctions against the military commanders are very much welcome and needed. But these sanctions alone are inadequate: the generals don’t travel outside of ASEAN region or friendly Asian nations such as India, Japan and China where they are granted full immunity and where they enjoy even red-carpet receptions. They don’t keep their bank accounts in New York or London or Toronto or invest their ill-gotten gains in the United States. To be blunt, the individual commanders including Commander in Chief Min Aung Hlain remain largely un-affected by US targeted sanctions so far. Mr Chairman, it is my humble opinion that when the entire set of State institutions, both civilian ministries and the security ministries have for decades been engaged in policies of genocidal persecution it is no longer adequate or effective to simply single out a handful of military commanders. Even if a single organ, say, the Armed Forces or Ministry of Defense, is involved in mass violence against Rohingya or the Foreign Ministry headed by Daw Suu is involved in blatantly dismissing any credible genocide findings, these actions are attributable to the entire State of Burma, a UN member. Fact-Finding Mission stressed that NLD Government of Daw Suu is complicit in the genocide by their crime of omission and other acts of denial and dismissal of genocide findings. A coalition of American Jewish organizations in the US have already issued a consensus statement, saying that Rohingyas suffer a full-blown genocide, no less. If anyone knows genocide, it is the Jewish community who understands most profoundly what genocide is. I call on this committee to consider invoking the Convention on the Prevention and Punishment of the Crime of Genocide, or the Genocide Convention, of 1948, an inter-state treaty. We need to move beyond what civil society globally has widely recognized as Rohingya genocide, still ongoing. Burma is a state signatory – that also ratified the Convention – in 1956. Since 2012, the Burmese military and Daw Aung San Suu Kyi have established 8 (eight) inquiry commission– with the clear objective of bleaching the crimes of the Burmese state against our Rohingya people and exonerate (or declare innocent) all organs of Burmese state. None of the commission so established has proven credible: even if they were, Burma’s judicial system does NOT have the judicial capacity or even concept for trying war crimes, crimes against humanity and genocide, the three gravest crimes which UN FFM officially said Myanmar is committed in Rakhine, Shan and Kachin states. As with the Bangladesh-Myanmar reparation schemes, drawn up under China’s pressure no single Rohingya is prepared to return to Burma voluntarily. We have had solid 40-years of first-hand experience of being promised safety by Myanmar only to be slaughtered and violently deported subsequent to our return. As in the cases of Tibet and Uyghurs, China has been an evil force in our oppression: it protects Burmese perpetrators, instead of standing up for the genocided Rohingya people. Besides, Burmese authorities have not taken any of the key recommendations made by the Rakhine Commission chaired by the late Kofi Annan. I understand that there is a genuine interest among US lawmakers and executive branch in Burma’s fragile democratic transition. But there is no such thing as a democratic transition: UN Special Rapporteur on human rights situation in Myanmar Professor Yanghee Lee has reiterated a widely shared observation – that no democracy can emerge under the Constitution of 2008, drawn up by the military to keep itself in power. Emphatically, I want to quell the misguided perception and concern – that the military will stage a coup if the NLD government crosses any red lines – for instance, resolving the Rohingya crisis peacefully or pursuing national reconciliation with other armed ethnic communities are. The Burmese military has never relinquished levers of state power: they have only allowed the civilian façade of Aung San Suu Kyi and NLD to emerge. Burma’s non-existent democratic progress must not be pursued or supported at the expense of several million Rohingya people, both inside Burma and in diaspora and in the subhuman camps in Bangladesh. Rohingya have a large community who has sought refuge in Saudi Arabia over decades. We have found a home there, but as we speak there are thousands of Rohingya without any legal status who are detained indefinitely or are deported to Bangladesh. We request that Rohingya are released and allowed to contribute to the societies in which they are living. Mr Chairman, I call on the US lawmakers and US Government to recalibrate US policies towards Burma by focusing on finding ways to address the root cause of our sufferings of 40-years. Please do work with us in finding effective pathways to end the ongoing genocide of Rohingyas, war crimes and crimes against humanity that the Burmese military is committing in Shan and Kachin state against other ethnic brethren of ours. survivors to the remote island of Bhasan Char, which UN and other experts have widely considered un-fit and un-safe for human life. Accountability mechanisms are welcome and much needed. We are grateful to the support from the American lawmakers on accountability. We would like to urge you to work with us, Rohingya diaspora and the survivors in the camps, to device protection of Rohingyas – in Bangladesh, as well as inside Burma. (Whatever they are) officially approved and submitted for archival purposes. Testimony before the Senate Foreign Relations Committee Subcommittee on East Asia, the Pacific, and International Cybersecurity Policy Hearing. Chairman Gardner, Ranking Member Markey, and distinguished members of the Committee, thank you for the opportunity to appear before this committee to testify on the ongoing genocide of the Rohingya people in Burma. I speak as a survivor of decades-long persecution by the Government of Burma, which is now carrying out a genocide that has long been in the making. My own personal history reflects this story. My extended family experienced first-hand waves of government-orchestrated military attacks and mass violence against unarmed and peaceful communities throughout Rakhine region. In 1978, my parents, then in their twenties, fled their homeland of Northern Rakhine into Bangladesh during the very first wave of violent mass deportation of the Rohingya community. In response to this humanitarian crisis, the late Senator Edward Kennedy travelled to Bangladesh and bore witness to the devastating impact of the Burmese military’s policies of targeted persecution against the Rohingya. He helped secure vital humanitarian aid for Bangladesh to support the refugee population. More than a generation has passed and though my father and Senator Kennedy are no longer with us, we continue to live with the policies that have enabled the vicious persecution of the Rohingya people. In fact, Burma – despite continued promises to the international community to improve the lives of the Rohingya people, to listen to recommendations from the Kofi Annan Commission, to set up its own investigation into abuses – continues to fail the Rohingya community. There is absolutely no political will or desire by the Burmese authorities to improve the lives of Rohingya. This is a government and a military that have actively tried to wipe us out as a people for several decades. They continue to deny my community as an ethnic group integral to the Union of Burma, depriving our children any meaningful access to education, denying us access to essential health and other social services, and worse, maintaining conditions that are designed to bring about the eventual destruction of our entire community. Today, there are far greater numbers of Rohingya people outside of their ancestral homeland of Rakhine State than inside of it. After a widespread, deliberate campaign of egregious violence, there are approximately one million displaced Rohingya people who now live in sub-human conditions in camps in Bangladesh where they are recognized neither as “refugees” nor by their very group identity as “Rohingyas.” They have left behind nearly 400 villages, most of which have been burned and bulldozed and are being primed for commercial development by Daw Aung San Suu Kyi’s NLD government. With all of the evidence of the last year and a half, the world has caught up with what we have been saying for many years – the only word to describe what is going on is genocide. Mr. Chairman, it is genocide – the intentional destruction of an ethnic community, our Rohingya community – that Burma has commissioned. An array of organizations – legal, humanitarian, and religious organizations, including a coalition of American Jewish groups – have issued statements calling this a genocide. This is welcome support, but we need to move beyond what civil society globally has widely recognized as Rohingya genocide. We need action from governments and the international community. That is why the hearing today is so important. We must stand together and push for change. The international community must do more. “Never again” is a meaningless phrase unless it is backed up with action. The world of conscience must now use all legal tools to address this heinous situation by pursuing international justice mechanisms that will hold the perpetrators of this atrocity accountable. A powerful action that the United States Senate can take is to reintroduce the Burma Human Rights and Freedom Act and pass it and sign it into law. The legislation addresses the Rohingya refugee crisis from a few different angles. It authorizes humanitarian assistance for Rohingya refugees in Bangladesh. It calls for a safe, dignified, and voluntary repatriation process of Rohingya refugees to Burma and for any repatriation process to be developed with significant input from the Rohingya community. It further calls for the restoration of full citizenship for the Rohingya people. The legislation also calls for targeted sanctions and visa denials against military officials implicated in human rights abuses, which is very much welcome and needed. While the Treasury Department has sanctioned five military officials and two units, it is yet to sanction the most senior Burmese military officials, including General Min Aung Hlaing and his Deputy, Vice Senior-General Soe Win, who are considered most responsible for the violence. Even though they do not hold assets in your country The United States’ leadership in sanctioning these two individuals would help stop ongoing atrocities taking place in Burma and may well have a “domino effect” on the actions of countries in holding Burma accountable. It is also no coincidence that at least four of the five military officials sanctioned thus far have been quietly retired from the Burmese military. The Burmese military has also started hiding their patches that identify their battalion command for fear of international condemnation. It demonstrates that the Burmese military is taking notice of US action and underscores that accountability starts at the top of the military command. It is also important that the United States targets military-linked companies and entities. But, Mr. Chairman, both civilian ministries and the security ministries have for decades been engaged in policies of genocidal persecution. Therefore, we must address larger issues of justice and accountability. 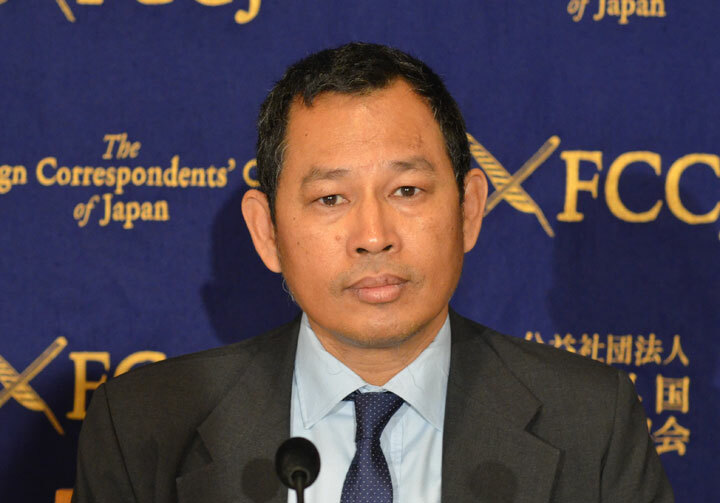 For example, the United Nations Fact-Finding Mission (FFM) stressed that NLD Government is complicit in the genocide due to their crimes of omission and other acts of dismissal of genocide findings. The appointment of Nicholas Koumjian as head of the Independent Investigative Mechanism for Myanmar is a positive step and the United States should continue to support and fund the mechanism. The United States should also support international justice mechanisms that are impartial, credible, and independent including the establishment of a new ad-hoc international criminal tribunal in whatever way possible. The international community should be fully conscious that since 2012, the Burmese military and Daw Aung San Suu Kyi have established eight inquiry commissions with the clear objective of bleaching the crimes of the Burmese state against the Rohingya people and to exonerate the Burmese state. None of the commissions have been proven credible. Burma’s judicial system does not have the will or the capacity for trying war crimes, crimes against humanity and genocide, the three gravest crimes which the UN FFM has officially said are being committed in Burma in Rakhine, Shan and Kachin states. Criminal accountability is only one tool for justice, and it cannot wholly reverse the damage done, but it can make break the entrenched cycle of violations. The international community must also address citizenship and repatriation with full rights. At present, China has helped to draw up a plan where no single Rohingya is prepared to return to Burma voluntarily. This is not acceptable. For forty years, we have been promised safety by the Burmese government, only to be slaughtered and violently deported subsequent to our return. As in the cases of Tibet and Uyghurs, China has been an evil force in our oppression. China protects Burmese perpetrators instead of standing up for the Rohingya people. I also understand that there is a genuine interest throughout the US Government to protect Burma’s fragile democratic transition. But there is no such thing as a democratic transition under the current conditions. The UN Special Rapporteur on the human rights situation in Myanmar, Professor Yanghee Lee, has reiterated a widely shared observation: that no democracy can emerge under the Constitution of 2008, which was drawn up by the military to keep itself in power. The Burmese military has never relinquished levers of state power: they have only allowed the civilian façade of Daw Aung San Suu Kyi and NLD to emerge. Burma’s non-existent democratic progress must not be pursued or supported at the expense of several million Rohingya people, whether they are in Burma, in refugee camps in Bangladesh, or in the diaspora. Mr. Chairman, I call on the US Congress to recalibrate its policies towards Burma by focusing on finding ways to address the root cause of our decades-long suffering. It is important that Rohingya voices are included in finding effective pathways to end the ongoing genocide of our people. This also includes the crimes the Burmese military is committing in Shan and Kachin states against other ethnic brethren there. Finally, the US Government should use its influence to prevent its humanitarian and strategic partners of India and Bangladesh to treat Rohingyas as survivors of atrocity crimes. India must stop all attempts to deport Rohingya refugees back to Northern Rakhine State. Bangladesh should also be requested to halt its plan to relocate 100,000 Rohingya survivors to the remote island of Bhasan Char, which the UN and other experts have widely considered unfit and unsafe for human life. In closing, the US government and the international community must act now. We are grateful for the efforts of US lawmakers, as exemplified by last year’s Burma Human Rights and Freedom Act. I urge you to reintroduce it and pass it and to work with the Rohingya diaspora and the survivors in the camps to ensure the protection of the Rohingya people. This article originally appeared on Transcend Media Service (TMS) on 15 Apr 2019. Anticopyright: Editorials and articles originated on TMS may be freely reprinted, disseminated, translated and used as background material, provided an acknowledgement and link to the source, TMS: Rohingya Genocide Survivor Censored by American Patrons in His Testimony before the US Senate, is included. Thank you.